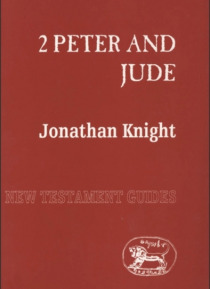 These two small texts have often been outshone by other New Testament writings and have sometimes been regarded as of scant importance. Neither of them is easy to understand. Their language is sometimes difficult and the symbolism and biblical allusions are obscure to readers who do not know Jewish apocalyptic literature. Knight demonstrates that they do, however, repay careful study. They reveal … a thought-world that is dominated by meditation on biblical literature, and they show how such material was interpreted to deal with problems in the life of certain unknown churches in the first century CE.